The East African country of Tanzania, in an effort led by startup Off-Grid Electric, along with the support of the international development community, just set a goal of having “One Million Solar Homes” by the end of 2017. 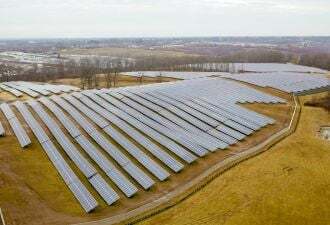 The campaign hopes to furnish solar electricity for 10 percent of the nation’s population and generate over 15,000 solar jobs. California's Million Solar Roofs campaign, started in 2006, is ahead of its schedule to see a million solar roofs statewide by the year 2020. Most of Tanzania's population (more than 80 percent) depends on candles and kerosene to light their homes. That's a dirty, dangerous and inefficient solution. 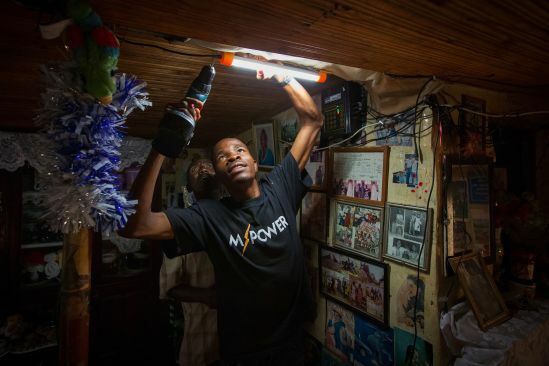 Off-Grid Electric uses a mobile payment system that lets customers purchase solar-powered LED lighting meted out in small increments, rather than paying for an entire photovoltaic system upfront. The company is known as M-POWER in Tanzania, and payments can run as little as 20 cents per day, according to the startup, which adds that "service levels start below the cost of kerosene." The company designs, builds and installs the solar, lighting, lithium-phosphate batteries and a meter, all enclosed and drilled into the wall, as well as the payment systems that provide "modern electrical services" to homes with no access to electricity. If this sounds vaguely reminiscent of SolarCity's successful third-party solar financing model, that would make sense. In fact, SolarCity is a lead investor in Off-Grid Electric. 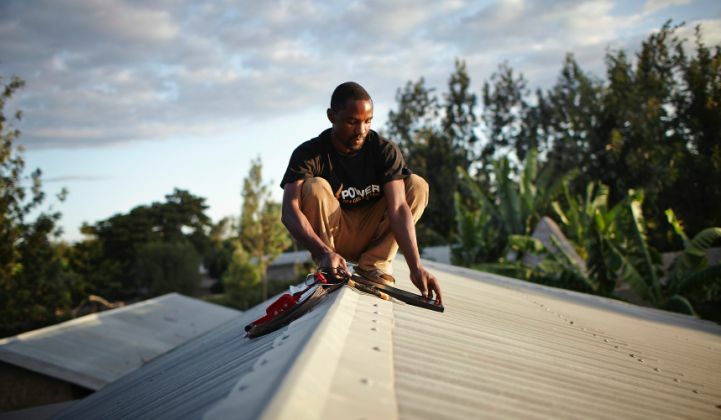 Last year SolarCity joined up with venture firms Vulcan Capital and Omidyar Network to invest $7 million into Off-Grid Electric. SolarCity CEO Lyndon Rive and Vulcan Capital Managing Director Steve Hall are on the board. GTM Senior Editor Stephen Lacey notes, "The small investment gives SolarCity an entry point into the booming off-grid solar market where mobile money platforms are enabling pay-as-you-go services in Africa, Asia and the Middle East. 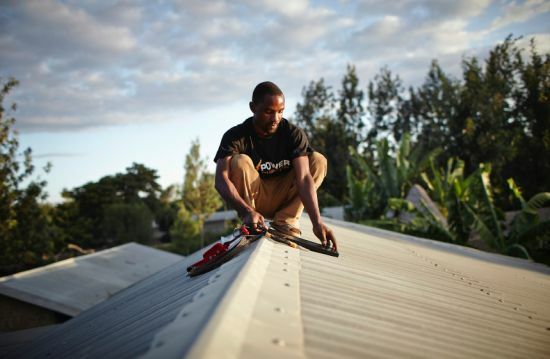 It's a seemingly natural fit for a company like SolarCity, which has helped pioneer the solar services model in the U.S."
The Tanzanian solar effort looks to bring over $100 million in investment into the country. That's a small figure compared to the $9 billion "Power Africa" program that looks to double the number of people with access to electricity in sub-Saharan Africa. Earlier this week, The International Finance Corporation invested $7 million to get this program started with the phase 1 goal of reaching 100,000 households and small businesses in northern Tanzania. Other funders include Overseas Private Investment Corporation, USAID Development Innovation Ventures Program, Netherlands Development Assistance and SunFunder. As GTM's Lacey has reported, there's been a surge of investment into off-grid solar companies in developing countries. It's still early in 2015, but $42 million has already been invested in this sector this year -- which is equivalent to two-thirds of all off-grid investments closed in 2014. Fidelity Growth Partners led a $10 million financing round for Greenlight Planet, a solar lighting company operating in Africa and India. Deutsche Bank and Global Partnerships also added to the round. Kenyan mobile payment startup M-KOPA picked up $12.45 million in expansion capital from LGT Venture Philanthropy. M-KOPA is a pay-as-you-go platform provider with 150,000 customers. Last month, Greentech Media reported on a $12.6 million venture round for Fenix International, a company that sells and finances solar-powered battery systems designed for lighting, mobile phone charging and powering other electronics in the home. Investors included GDF Suez, Schneider Electric, Orange France Telecom, Tom Dinwoodie and Warner Philips. It's a business model very similar to that of Off-Grid Electric. We spoke with James Sawabini, in charge of special projects at Off-Grid Electric, via phone from East Africa. He said his company is about "serving the 1.6 billion people off the grid." He notes the cash flow directed toward kerosene and phone charging can now go toward a 5-watt solar charging product that can recharge a phone and power a light. Sawabini spoke of the $100 million necessary to meet the long-term goal, but focused on the more difficult issue of scaling its human capital. The company's goal is to raise $50 million and reach 200,000 customers this year -- and that means moving to new regions and "replicating our business model." He added, "The big challenge is expanding our operations and recruiting folks out of university." He notes that the company has established its own academy to train people and recruit and develop seasoned managers. He continued, "We recruited the people we knew. But then we had to build this machine to find the right people." He added, "The amount of [unemployable candidates] we got was extraordinary," which made him unsure if the company could meet its hiring requirements. The company has learned that "one of the best ways to get top talent is referrals," he said, adding, "You can't rely on traditional channels." As a testament to the nature of this recruitment effort and the quality of its people, Sawabini spoke of a young woman, a recent college graduate, who is hoping to join Off-Grid as a manager -- or a "mini-CEO," in Sawabini's words. The applicant had to undergo a long series of interviews and aptitude tests in order to be admitted to the academy. Her efforts to be employed also required a number of 12-hour bus trips to and from Dar es Salaam in Tanzania. She was among the 2 percent of the 3,000 applicants (40 in all) that were accepted into the program. Sawabini said of the finalists: "These are the fighters, at the end of this process. These people are fundamentally incredible." 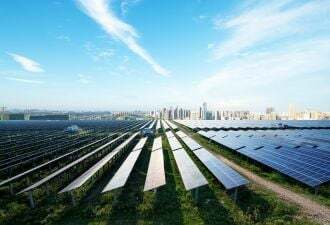 SolarCity CEO and Off-Grid board member Lyndon Rive commented earlier, “Solar power is already more cost-effective than kerosene and other polluting power sources that are common in the developing world."